If it comes to luck, there is a great misconception about fortune cookies in the Asian culture. Fortune cookies are often served as a dessert in Chinese restaurants in the United States and other Western countries but are not a tradition in Asia. A served cookie contains a fortune with some wisdom or vague prophecy. 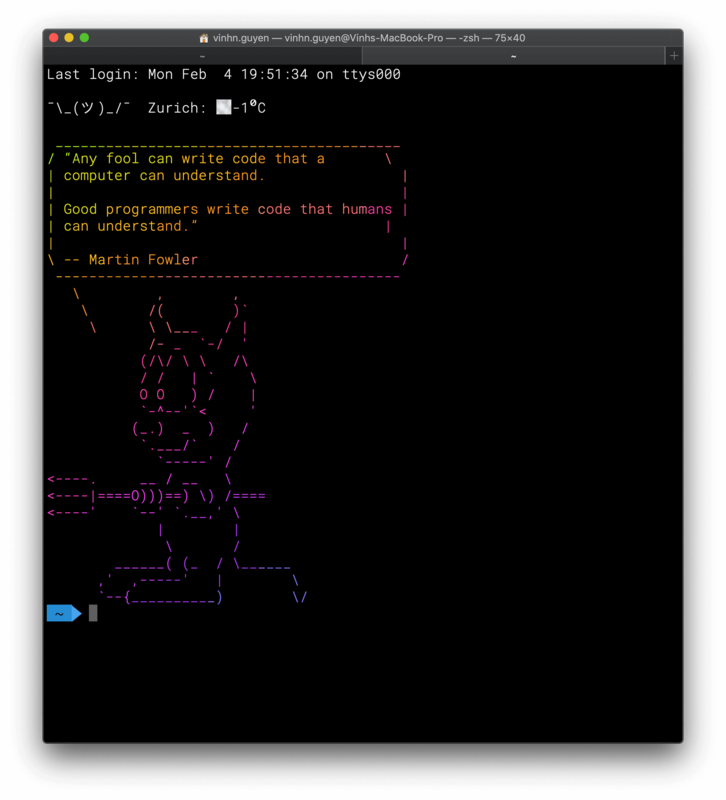 Since Unix, the fortune application does the same on the terminal. Fortune displays a random message from a database of quotations. I have created a database set for geeks, which holds some favourite tweets from Programming Wisdom. See below a quote. Each entry starts with %. Each entry must end with a newline. Logstash is like a swiss knife. You can pre-process nearly any kind of data for Elasticsearch. In Elasticsearch, we want to store the content and the person. Having the data in Elasticsearch, we can search for wisdom if needed for example in a presentation. We could tweak the text analysing, but we are going to deal with that in a separate future blog post. To store the data, you can provide logstash with an index template. We choose to store analysed text only for the quotes and for the person we want the default multi-field approach. We may search for names but might also want to do aggregation on persons. As input, we take the file. We apply the multiline codec and configure to treat each line, that belongs to the beginning entry with % as one event. 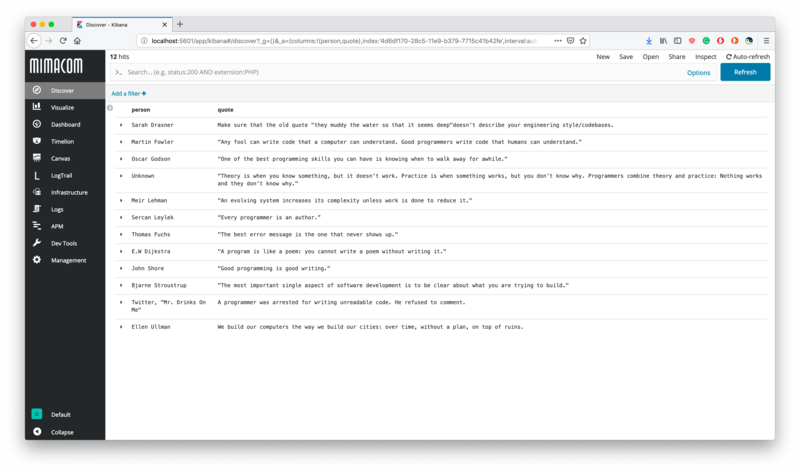 The filter section contains the commands to clean up the data and separate them into the fields quote and person. We use Elasticsearch for storage, so the output uses the elasticsearch output plugin. The noteworthy part is that we provide the template options, to tell Elasticsearch how to store the data. In the end, you will receive this output as displayed in Kibana. As demonstrated, Logstash is a powerful tool to deal with data in a challenging format. The fortune database for geeks was an example. The configuration is challenging itself. With proper help, guidance and patience you can accomplish to get almost any data into Elasticsearch. 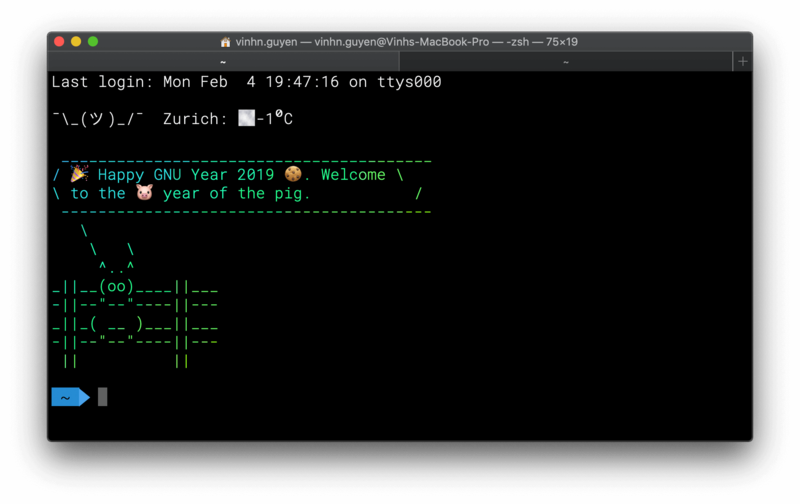 We wish you a happy and fortunate year of the pig!